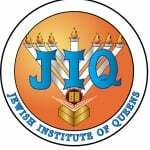 Jewish Institute of Queens is proud to be a sponsor of the Summer Feeding Program. All eligible children a can receive free summer meals at four different locations around NYC. For more information please see below or you may call our office at 718.426.9369. Click on the links below to see our Parent letter and Media Release forms. Queens Gymnasia is also proud to be able to offer a Food pantry to those in need.